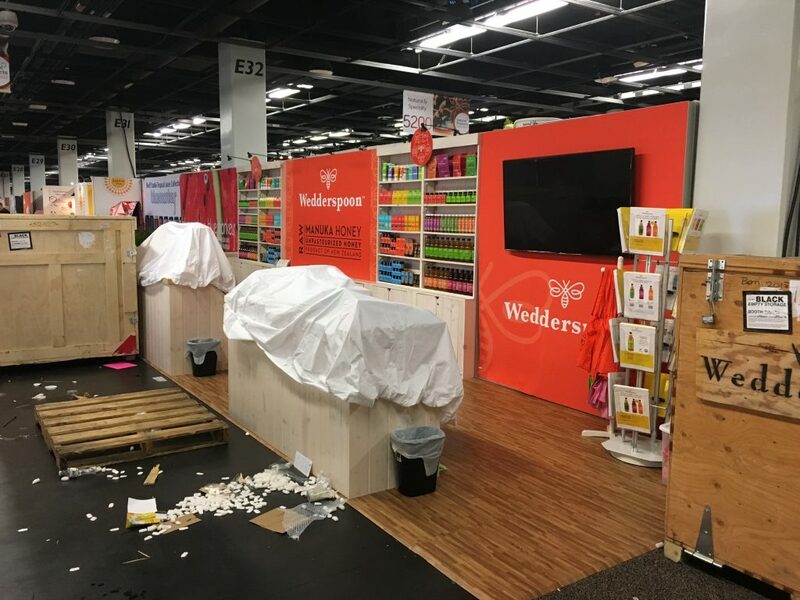 Seeing “backstage” at any tradeshow lets you peek at the chaos of what it takes to put on the show. 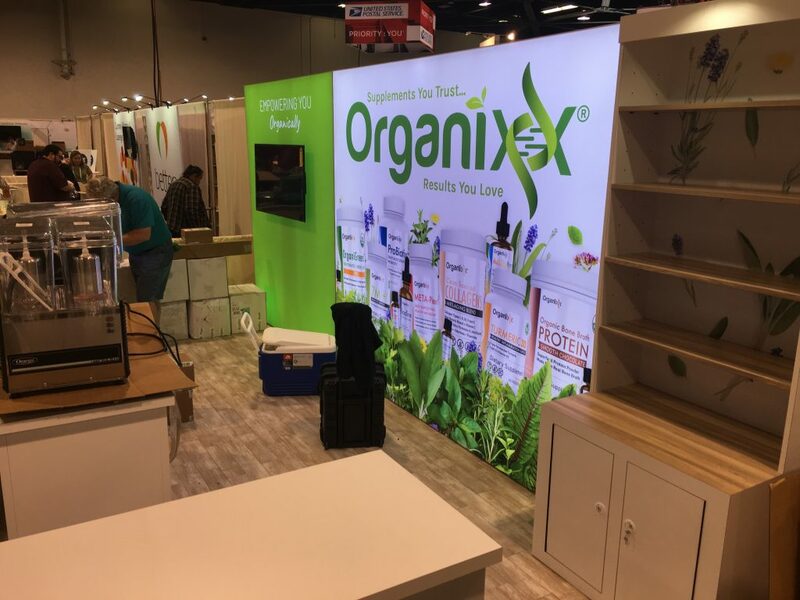 Backstage at a huge show such as Natural Products Expo West, with over 3500 exhibitors, multiplies that by several factors. 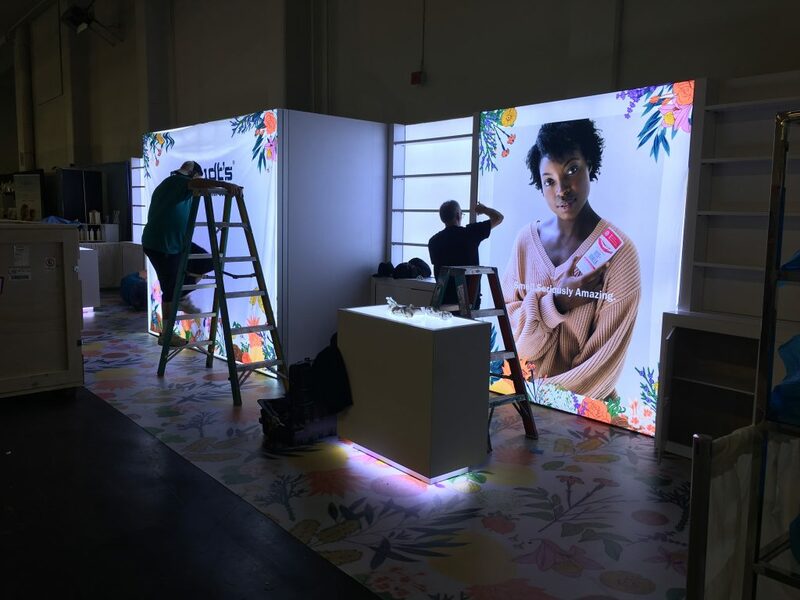 But when you’re personally involved in coordinating and executing the setup of a handful of exhibits for new and veteran clients, it can be exhilarating, exhausting and patience-testing. But we pulled it off! 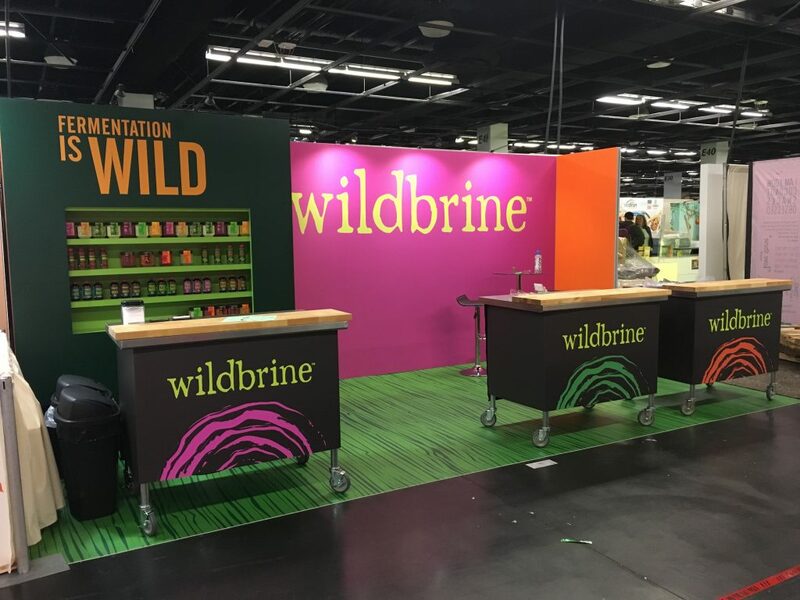 We are glad to introduce a handful of new clients this year, including Wildbrine, Organixx, and Hop Tea. 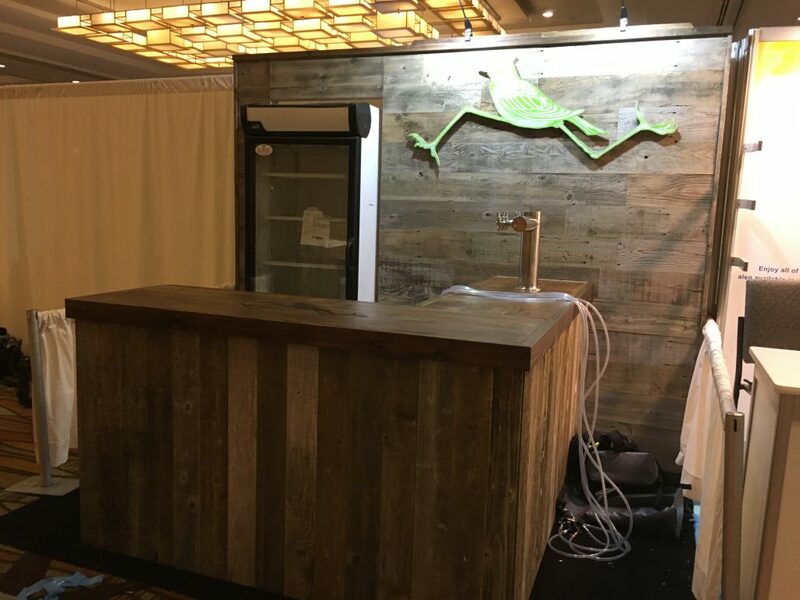 We also did a new 10×40 project and coordinated the setup for a veteran client, Schmidt’s, and coordinated the setup of others, including Wedderspoon Manuka Honey and Dave’s Killer Bread. 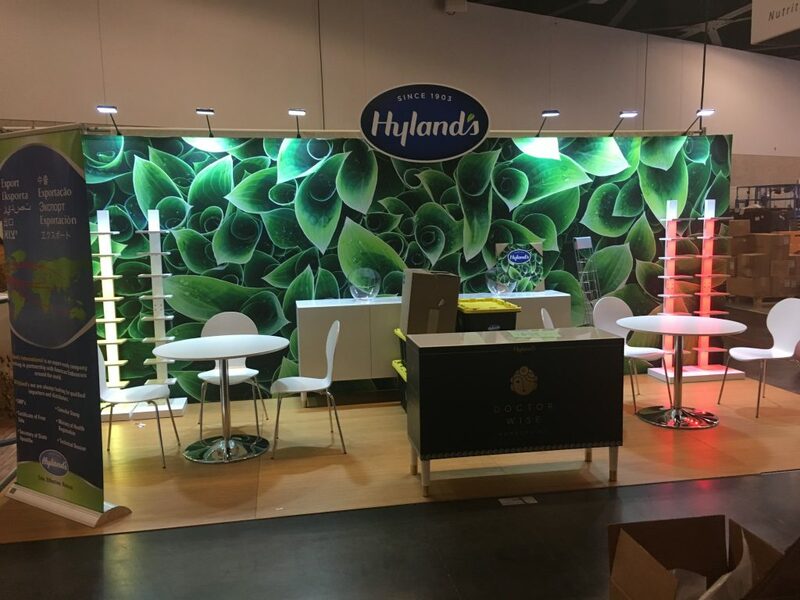 A long-time client that goes back over a dozen years, Hyland’s Homeopathic, finally shed their fabulous but aging Koa wood exhibit for a striking single plant photo blown up to 20′ x 8′. Crazy. Watch this space and our Twitter and Instagram accounts for photos of these and other exhibitors at Expo West. We knew going into the show that there were opportunities for things to go sideways. 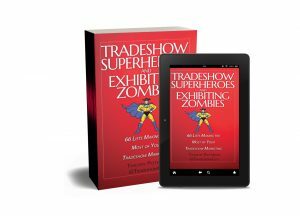 That’s not abnormal in the tradeshow world, but this year it seemed to be multiplied. 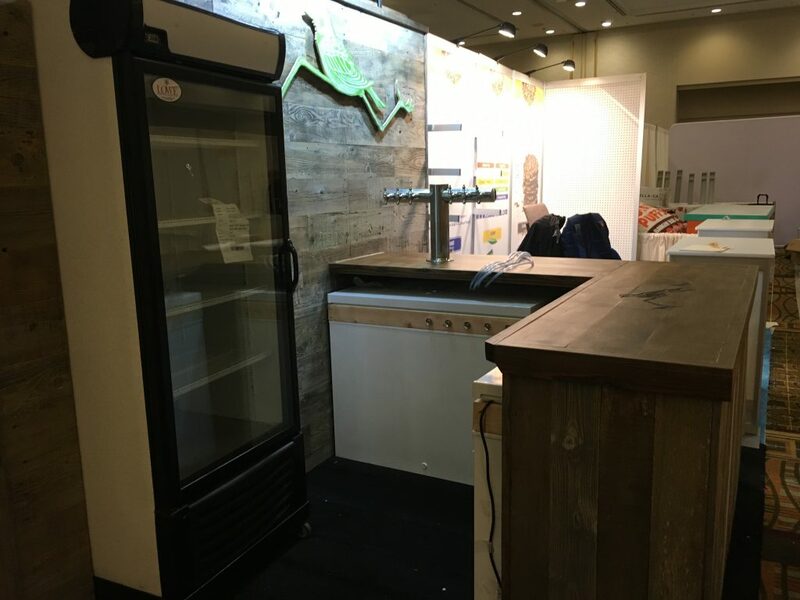 Due to the design and fabrication timeline of many of our new clients, and the coordination of incoming flooring freight from one of our vendors, we ended up shipping most of the new builds straight to show site. Not something we usually do. But it meant that many of the trucks carrying our freight spent hours in line getting crates unloaded. 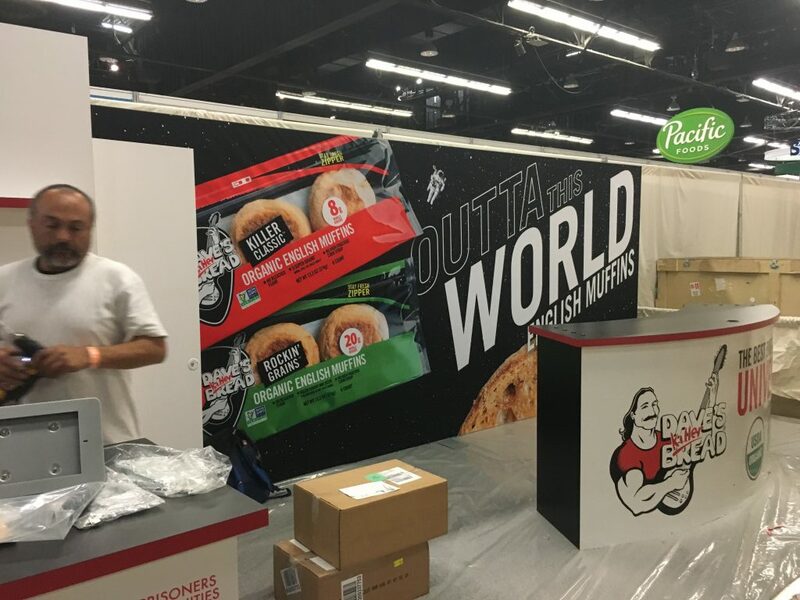 And of course, our last project of the two-day setup day, Schmidt’s Naturals, we weren’t scheduled to start setting up the exhibit until 3 pm on the day before the show opens. Which lead to a crazy chaotic dance with the freight logistics manager getting crates delivered in a timely manner (they weren’t, even though we could see them out the back door of the convention center for a few hours prior to them being delivered). But as they say, all’s well that ends well. 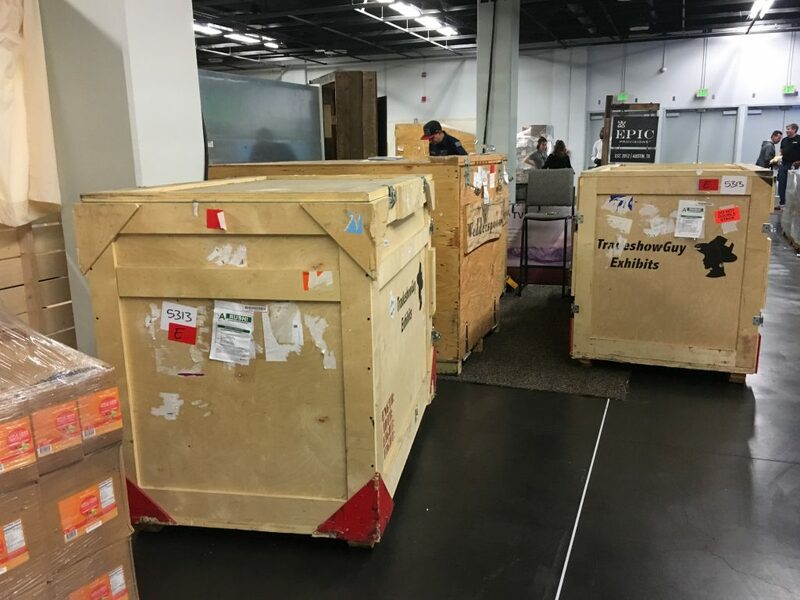 Once the crates were delivered, our crew jumped on the installation and cranked it out in about three hours, pretty impressive given that it was a new 10×40 exhibit with a lot of lightboxes. Kudos to all of our partners: Classic Exhibits, who designed built most of our new projects (Schmidt’s, Wildbrine, Organixx); TimbrandMoss, who designed and built the Hop Tea exhibit; Eagle Management (and Stacy, our account executive who was relentless in working to make things happen in a timely manner); Brumark, who printed the custom flooring for two exhibits and provided flooring for another; Orbus, who printed the high-quality backdrop for Hyland’s. I also want to give out a shoutout to all of the GES folks I encountered along the way, who were exceedingly patient and proficient and made things happen very quickly. While this seems like a lot, at least to me, I can only assume that other exhibit houses with many more clients are experiencing the same things on a much larger scale. Having said that, it was pretty substantial for us and helps start what we hope will be a great 2019.